A few weeks ago I woke up in the middle of the night to noise in my garage. I told myself I was just being paranoid, but when I heard it again I got up to look and saw a man standing right outside my bedroom window, trying to get in our house. I panicked and banged on the window to scare him away. Which, I know. Probably not the best course of action. Looking back, I really wish I’d already had a home security system like SkyLinkNet installed. I could have easily grabbed my phone and set off our panic alarm as I called 911. Skylink has been around for 25 years, selling DIY home security systems, but this is their first move into the smartphone security system market. I had a chance to try it out, and I found it’s a nice option for basic home security on a budget. 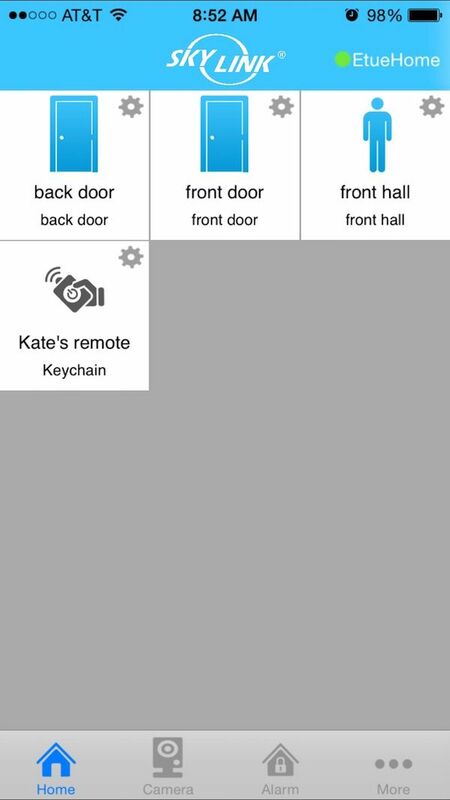 DIY installation means you don’t have to take a vacation day to wait for an installer to come to your house, but you still get the features you’d want from a professional tracking service — door sensors with chimes, a siren, motion sensors, and a remote for your keychain to turn the system on when you leave home or off when you arrive. You can even upgrade to add video cameras if you want that level of security. The reason they skip the fees is because monitoring is all done by you, not a central security office. Just know that means when that panic alarm sounds, you’re the one who has to call the police. Because each sensor is controlled individually from your iPhone, you can customize which are armed when you’re home or away. You can also keep the motion sensors off when you’re home, which is nice if you have kids who might set it off by coming to your room in the middle of the night. That said, you can turn on the siren any time — whether the system is armed or not — by sliding the panic button. Also nice: you can turn the system on from anywhere. Which is helpful if you, say, get distracted packing for your vacation and don’t remember to turn it on until you’re halfway to the airport. We’ve raved about some other home security innovations recently, so how does the SkyLinkNet home security system compare? At the bargain-basement end, you have the free Presence app, which turns your old iPhone into a security camera. At the deluxe end are systems like the Mother home monitoring system, which has individual sensors that can track everything from your front door opening to your kids brushing their teeth. And there are a few new gorgeous, high end smarthome monitors like Canary, Piper, and the Withings Home device, which have features like high-tech facial recognition and the ability to sense dangerous VOC levels in your house, but don’t have individual door sensors. Bottom line: SkyLinkNet is in the middle somewhere. It’s an affordable way to keep your home more secure than a simple camera device, for those of you who would like that peace of mind without paying a monthly fee. If you’re okay with dropping everything to call the police when the alarm goes off, then this could be a smart option for you. 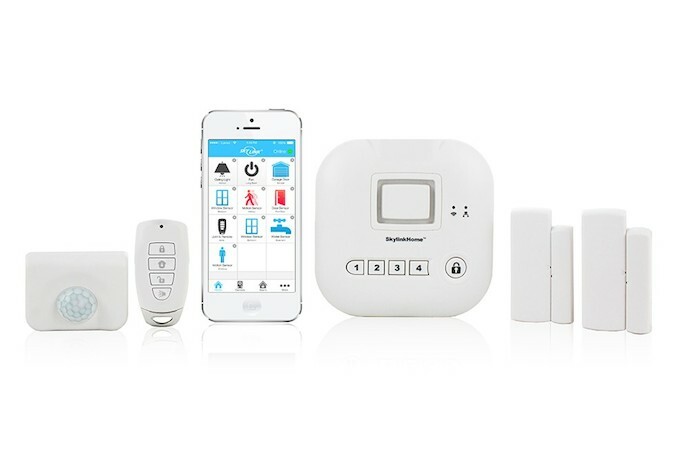 You can purchase the SkyLinkNet home security system from their website or at our affiliate Amazon. And good news: the app works on iOS or Android devices. Thanks to the company for sending CMT a unit for trial. This would also be useful for people who rent their homes and need a system that can move with them. And for cat lovers, who need to ensure that any movement detection is lower than the typical kitty perch. First of all, glad you are okay! 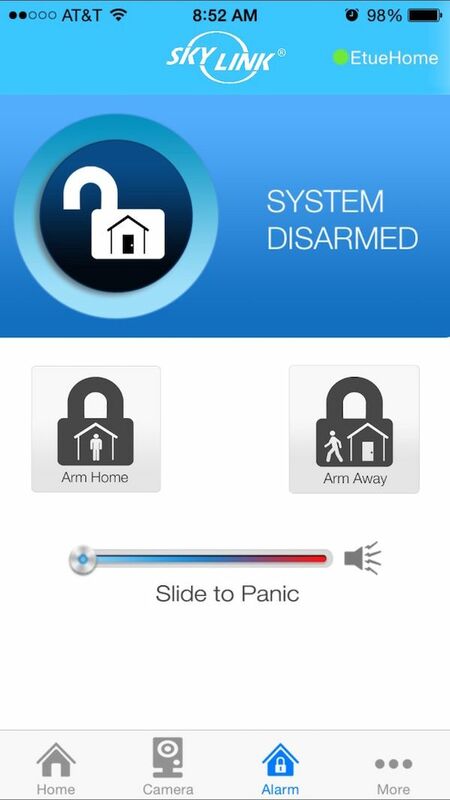 Second, I agree that this seems to be somewhere in the middle as far as new smart home security goes. I like the idea of being able to monitor yourself and the low cost. However, I do think that there are some serious advantages to a more high tech service. That being said, excellent information on SkyLinkNet. Did you upgrade and get the video monitors? If so, how is the quality?